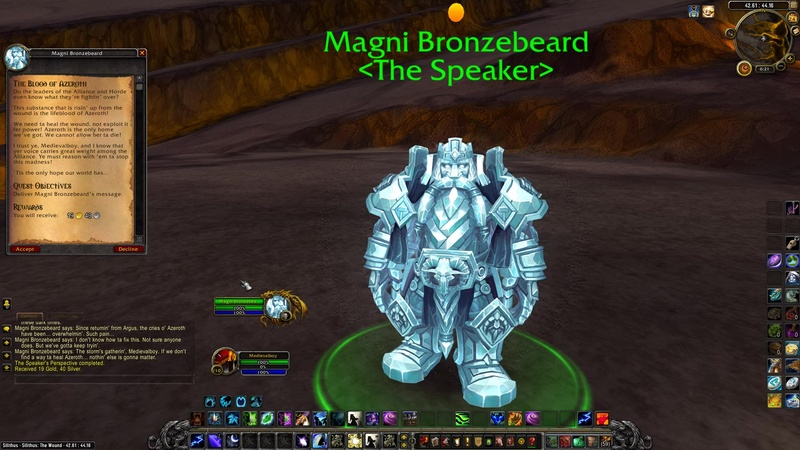 Magni Bronzebeard: Do the leaders of the Alliance and Horde even know what they’re fightin’ over? This substance that is risin’ up from the wound is the lifeblood of Azeroth! We need ta heal the wound, not exploit it fer power! 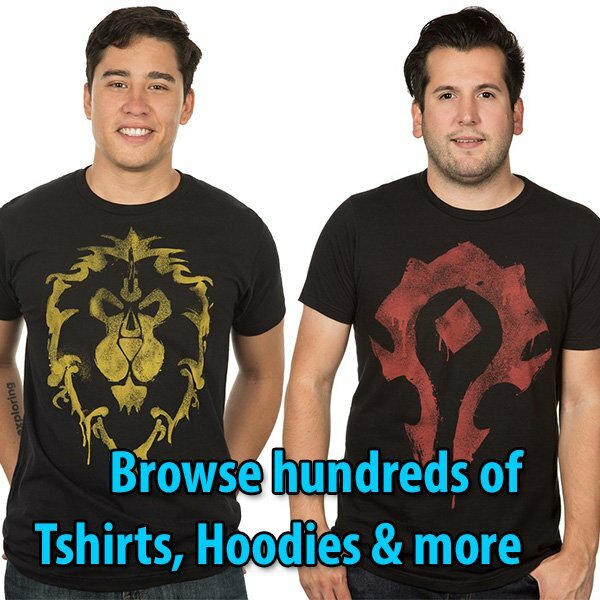 Azeroth is the only home we’ve got. We cannot allow her ta die! I trust ye, (Name), and I know that yer voice carries great weight among the Alliance. Ye must reason with ’em ta stop this madness! Nolan Speed: The blood of Azeroth? I’ll make sure this news reaches Stormwind, but I must continue the operation until I am ordered otherwise. I think we’ve got the situation in Silithus under control. SI:7 can take the operation from here. Thanks again, (Name).